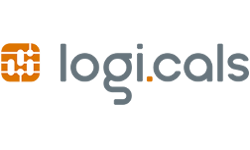 To centralize its server infrastructure grown over the years, logi.cals GmbH chooses open-source technologies for their high level data center. At logi.cals GmbH engineers have been programming software tools and platforms for industrial automation since 1987. From microprocessors to multi-core IPC, scalable and portable run-time systems have been programmed. Over 30,000 engineers worldwide use the software from logi.cals to automate complex systems such as hydroelectric power plants and steel mills, as well as buildings, ships, buses, machines and many more. For the company's own IT infrastructure, it was time to take new paths. The existing server landscape was aging and needed an upgrade. A mixture of hypervisors (Citrix XEN, KVM), bare-metal servers, and distributed storage was in use. A major goal was to replace the existing server landscape with modern, centralized, and flexible server and storage systems. With all these requirements logi.cals engaged Siedl Networks - an open-source system integrator and Proxmox partner from Krems (Austria) - to develop and implement a solution for their need. The solution offered by Siedl Networks included two new Fujitsu RX2510 servers with a central Fujitsu Eternus DX 100 storage. The Eternus DX100 was designed to be completely redundant, with the ability to exchange all components online in case of a failure. To increase performance, additional SSD cache disks were installed into the Eternus. The two servers were connected directly to the Eternus storage via 4x 10GBit iSCSI, and to the local network via a 10GBit Ethernet. Proxmox VE was installed as the hypervisor on both servers. The virtual machines from the old Citrix Xen environment were migrated to the new Proxmox environment in a step-by-step process. Also the physical servers were gradually moved to Proxmox VE. Today, about 40 virtual servers with more than 10 TB of storage capacity are operated on the company's virtualization platform. To further improve system availability, the virtual servers are backed up to external storage. “With the Proxmox VE solution implemented by Siedl Networks, our data center is flexible and can be easily adapted to the dynamic requirements of our server infrastructure. The switch was carried out within the agreed time frame, and the users barely noticed the few down-times. The reliability of our new server environment makes me happy every day,” says Marcus Mittermayr, Director of Software at logi.cals. The project was implemented by the Professional Service Team of Siedl Networks within 4 months with only short maintenance windows, and has been running for more than a year now without any troubles. In order to keep the servers secure and up-to-date, Siedl Networks is taking care of the ongoing maintenance and support. “With Proxmox Server Solutions, we have found an Austrian software developer who perfectly meets our need for a flexible, open-source, and reliable virtualization platform with enterprise support at a reasonable price—furthermore with support in German language, and in the same time zone,” says Robert Siedl - CEO of Siedl Networks. The logi.cals GmbH with locations in Austria and Germany have been programming software tools and platforms for industrial automation since 1987. Our main solutions are the IEC 61131-3 programming system of the logi.CAD series and the highly portable runtime system logi.RTS, which is scalable from the microcontroller level to multi-core IPCs.